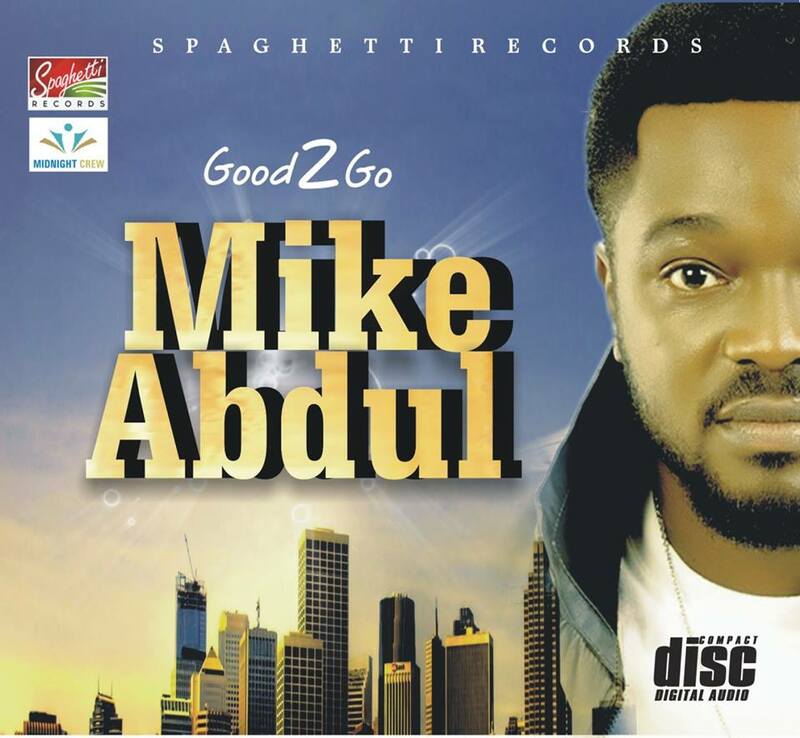 ALBUM REVIEW: ‘GOOD 2 GO’ – HOW MUCH “FUJINESS” CAN WE FIND IN MIKE ABDUL? Mike Abdul may have in time past, in recent works and may still display features of Fuji in his music but I won’t particularly call the Gospel music minister a Fuji artiste — contrary to popular believe. His uniqueness was discovered due to the genre of music and he has shown his prowess with the genre but his recent releases — especially the album — have proved that Mike Abdul is evolving a new kind of music that may have its roots in Fuji but its identity needs to be determined. Still judging by his recent releases such as ‘Morire,’ ‘Ready to Praise,’ ‘Serve You Forever’ and the worship songs in the album, it’s apparent that Mike Abdul’s sound is fresh. It’s not the same thing he used to do before embarking on solo project. While Midnight Crew’s music was unique as a result of the level of professionalism and ‘funkified’ additions to instrumentation and lyrics with evergreen and unique songs such as “This Fuji Thing”, “Rap and Razz,” “E Gimme Money,” “Next Fuji Thing” amongst others, I still regard Midnight Crew’s music (and i do not mean this in a derogatory way) as conventional gospel music with an edge above many others. The edge is so sharp that you would hear a Midnight crew’s song spin next to a ‘secular club song’ and the audience will applaud the Deejay for a good job done! But Mike Abdul’s sound has evolved and while it is still difficult to determine how to place it, I can describe it. Listening to ‘Morire,’ ‘Ready to Praise,’ ‘Iye Re,’ ‘Serve You Forever’ and ‘Oba Wa,’ I hear that husky voice peculiar to Mike Abdul which made alot of people identify Mike with Fuji, but I do not not hear ‘the fuji’ in the song. Instead, you are confronted with traits of traditional form of praise song peculiar to spiritualist churches such as Eternal Sacred Order of the Cherubim and Seraphim, Celestial Church of Christ and Aladura Church of the Lord where the conga drum and bell is used in excess as part of the instrumentation. Mike manages to infuse these into digital kicks, baselines, cords and hooks and you can sometimes hear the pairs of recurring claps these churches add to their praises in Mike’s music, for instance, it is quite obvious in the intro of ‘Morire.’ It is difficult to place this genre but it is similar to what the artiste and producer — Terry G — evolved his sound to, and the huskiness in the voices of both artistes is also similar. On the other hand, songs such as ‘Pray for Me,’ No Other Name,’ ‘I Believe’ ‘Reign Forever’ ‘In the Name of Jesus’ make Mike Abdul’s husky voice sound like something coming out of Jazz, Soul or Rock music depending on the song. It’s a little wonder why he fitted so well on Obiwon’s Techno-Pop ‘Testify.’ but was that really Mike Abdul on ‘No Other Name?’ He sounded so smooth… by the way ‘No other Name’ and ‘Pray for Me’ are my best tracks on the album… Forget the pop fusion, that brother can really sing and his enunciation are just perfect… too perfect for Fuji!!! SelahAfrik hinted a while back that Mike Abdul and FloRocka were working on a collaborative fuji worship song, well the song which is ‘In the Name of Jesus’ is on the album but I beg to differ, the song is a classic Soul Music and the dexterity displayed by both artistes is exceptional. I really think that if Mike Abdul shift focus from Fuji and just express himself, not only will he be able to create a new genre of music that has its roots in Fuji amongst others but also, he will break the invisible bound and deliver a very urban-unconventional Genre of music. Who knows, that may be the next big genre of music from Nigeria — like the AfroBeat. Safe for the bonus track, this album wouldn’t have had any clear evidence of a fuji song. I know alot of critics will hold on to this to justify the ‘Fujiness’ in Mike Abdul… LoL… Bring it on! I’m yet to hear any recent album release from the Gospel circle that is ‘wack’ but Mike Abdul’s ‘Good 2 Go‘ has upped the scale to a very high pinnacle. The professionalism, arrangements, vocal strenght and sound make the album ‘Good 2 Go’ indeed! Well done Mike Abdul, SelahAfrik rate this album ‘8’ – very good!